Work for Skyward Student Management Suite? I love how Skyward is secure and accessible at any time. It presents all of my information on hand, right away. Skyward shows student grades and also allows teachers to post information to calendars or on the board. Students can also view past test scores for state or SRI testing. I do not like that you need good connection to access or refresh the app-but that goes with most applications. Encourage students to download the application on their cellular devices to encourage daily use. This way it is even easier to access and check up o their grades. Also, allow students to make their own passwords and not have them connect to the school's email so that if they forget the password they can reset it on their own. The benefits are easy access to grades s that families and students can easily keep track of grades and are encouraged to do better and just having the general knowledge of what id going on in the grade book. Skyward is a very powerful tool that helps our districts perform with ease and efficiency. I love the fact that they are always on top of state-mandated changes (not an easy thing to do). The support staff are outstanding and amazing! And as a user I really like the look and feel of Skyward, but even more I love being able to customize the application to meet the needs of our districts. Um... Maybe that not all the Help documentation has been updated yet? There are still a few documents that show images of the old PaC software. If buying a superior product is not enough incentive, the outstanding support should be enough to convince you. Skyward is an awesome product, and when I have questions the support staff are quick to help and always a pleasure to work with. The biggest benefit is being able to run multiple school districts efficiently, getting the maximum funding because we are able to accurately report to the state and federal government agencies. Everything! Ease of state reports. I can customize security to fit each user. I am able to create my own student reports to pull exactly what I need. Customer support is usually quick to get back with you. More than one way to do something, it confuses some of the staff. For anyone considering a new SIS I would whole hardheartedly recommend looking into Skyward. Our district researched multiple SIS's, Skyward provided everything our teachers and administrators were requesting and more. Not only were they within our budget but Skyward was also able to extract our data from our old SIS making the conversion as easy as possible for us. Our old system was not user friendly, would constantly go down when they had an update (in the middle of the day, with no warning) and no communication. Skyward is very user friendly, we are able to do our own updates whenever we want and communication between skyward and customer is excellent! Their customer support is great! "Great product, and always innovating." The ability to extend the capabilities of the database beyond the already rich environment that exists for collecting student information. The appearance of the product is starting to show its age. While many changes have been done to the functionality and data collection abilities, the user interface has changed little since SMS 2.0 launched. That is going to change soon as the company is rolling out an entirely re-written system that takes advantage of the latest web technology and is being build to allow for more significant changes as the product continues to evolve based on the customer needs. Don't look back. If you fully understand what you want from the system, convey it to your sales rep and see what they can do. The need for data to be reported to our stakeholders has grown tremendously over the past 10 years. It seems that since we started providing our stakeholders with the information they desire from us that they always want even more. Skyward allows us to be able to meet many of those requests easily or are willing to listed to our needs as a customer and see how we can achieve the desired outcome. "This Student Information System is top notch! Skyward user for 12+ yrs"
AWESOME customer service!!! I love the way that all information is connected and accessible. Custom forms make it possible to add any information you may need, and eliminate a TON of paper! You can filter reports to very specific items and have the ability to personalize the information that is pulled for reports. I truly can't say enough positive comments about this product. I use it daily and can not imagine attempting to do my job without this amazing system. The only major thing I dislike is that I have a ridiculously difficult time getting my staff to utilize this program more! This is due in no part whatsoever to Skyward. This is simply that I do not have the time allowed in my position to do training to other staff. Customer support is exceptional. The biggest complaint I hear when discussing other SIS is poor customer service. Skyward gets an A+ in this category! This system has the capability to do so many things, from custom report cards to parent access and everything in between. Love the mobile app, too! Skyward is always moving forward and is very innovative with technology. This system is very easily customized to serve your needs. Parents can easily contact staff, access schedules, assignments and much more from the comfort of their home, office or via their mobile phone. They can print report cards and check missing assignments. Skyward is extremely important in facilitating communication between families and the school. It allows parents to access so many things at the tip of their fingers, without having to contact the school and possibly wait for answers. WIth Skyward, we are moving towards going paperless. I'm continually amazed at the things that this system can do and always look forward to seeing their updates and attending or viewing training. .
"Skyward is quick and easy!" I like how easy it is to navigate when entering in my grades. There are various categories within each subject area. You also have the option to give assignments different weight values, it's all done for you! I also like the option to have charts instantly generated for grade distribution for each subject and marking period. I like how each category is a different color, which makes it easy to quickly glance to see how balanced the grades are. I also like how parents/guardians are able to log in themselves to see their child's grades. I used to be able to use the "Quick Grading" feature, which was amazing! However, it hasn't worked for this school year. I wish there were different shades of each color within each grading category, to differentiate between English/Language Arts since this subject has so many different categories and subcategories. It is not as easy to visually see the graded distribution. Skyward Student Management Site is easy to use and navigate. If you're looking for an online grade book, as well as: attendance, academic history, and medical information, for your teachers to have access to and use, this is definitely worth considering! I like how student skyward and business skyward have a similar layout, which makes both very easy to navigate. The business side handles all of the payroll histories, the balance of time off available, and requesting time off. I like that Skyward is versatile. The software can be used for anything and everything a user could imagine. A user can always learn new tips and tricks no matter if they are new or advanced. 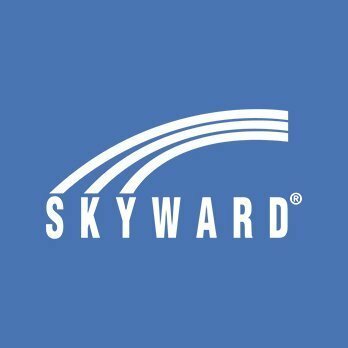 I have used the Skyward software for years, and I have not found one thing that I did not like about it! I do hope that potential customers take the time to really compare apples-to-apples when purchasing/switching their SIS. You will not be sorry if you choose Skyward. Skyward Student Management Suite is all-encompassing. It is so flexible that you can use the software in a manner that you probably think is not possible. Stop doing things by hand, and collecting mounds of paper! There is a better way, and that way is SKYWARD! There is no perfect software out there, but Skyward is as close as you can come! Skyward Student Management helps us be more efficient. We can take tasks that took hours and days in the past, and we are accomplishing them in a matter of minutes. This frees up the users to focus on other important and necessary tasks. Skyward can import/export data in so many different ways, that there is virtually no third-party vendor we cannot use. The data is at our fingertips. With budget cuts at all districts, Skyward has helped in the multiple-hat department for sure. Our users who have many daily jobs to accomplish appreciate the fact that Skyward can help them perform more efficiently. We are able to track data that we had not been able to track in the past. That data helps us make more-informed decisions thus helping us save time and money. Going paperless with Skyward; what a huge impact this has had for our district. We have the information we need immediately, and no filing! All of the information is stored right in Skyward. I can go on and on about the benefits. I really hope that when users are trying to make a decision on what SIS to purchase that they consider Skyward. Make sure to compare apples-to-apples. You do GET what you PAY for! I like that the attendance and the grade book is all under one program. I like that I can see alot of information about each student. I also like that my human resources file is there, so I can see what my salary and time off status are. There are a few things that are too rigid and that there is no way to alter them to fit a person's needs. The gradebook is hard to organize because it is a mix of standards and percentages. There are too many options for viewing and entering grades. It is good if you want a simple program for attendance and grades. We use it to take attendance and give the students grades. It is nice having them both under one program. "6+ years and still loving Skyward"
Skyward is a bit complicated - but with their excellent support, I'm confident with the system. It's worth looking. I can't say enough about their support - it's excellent. Skyward is an all-in-one solution for us. Instead of trying to link disparate services, we have all the main pieces in Skyward. We do link other services with Skyward and have had a great experience doing so. It just works! I teach music so I see EVERYONE in the school. I like that the kids pictures are able to be downloaded from the school pictures, and a seating chart can be printed with color pictures. Again, seeing everyone as the music teacher, I also have EVERY teacher in my grade book. I don’t like that the teacher’s name is not on the class when it is pulled up. I have 2 schools I teach at, so it is a challenge sometimes to find the class that I am looking for. If the teacher’s name was listed that would be easier. It allows me to give a participation grade to EVERYONE, then go back and change the few individuals who need to be lowered. "Skyward for student record management"
Skyward is super easy to learn and navigate. It is a very straight-forward student record keeping system. I use it as a teacher, so I do not get the full benefit of all it can do. I know that administrators, diagnosticians, support staff, and lead teachers enjoy many more features than I do as a classroom teacher. This is one of the benefits of Skyward. It can be tailored to the institution, and administrators can lock and unlock features depending on personnel using the system. As a teacher, I take attendance, record grades, enter discipline issues, and can see student profiles for contact information. Though there are a few things I wish were more customizable about the gradebook, it serves its intended puprose. I can enter assignments, show due dates, make comments, and enter grades. There are some features of the gradebook that are not customizable and a little frustrating. I would like to be able to move assignments around and group in ways other than date and major/minor categories. I do not like that I can not combine classes that meet the same period but have different course codes. I do not like that I am unable to group students by sub-population within a class. Skyward has a plethora of features. Our district uses it for student and employee records management. It is an all-in-one package management system that allows for ease of use for both sides of the equation--those entering the data and those accessing the data. "Our charter school district's experience with Skyward"
I appreciate that all the different functions that are available and can be added to the Skyward system. Our district went from having multiple systems for daily tasks (credit card reconciliation, time off requests, purchase requisitions, etc) to having Skyward as our "go-to" resource. This has been beneficial. I dislike the user interface and the lack of user-friendliness. We are entering our 2nd year using Skyward and we still have several hurdles that hold back our productivity. First, the inability to edit submitted items -- if there are any changes, that the item must go through the purchase approval queue. Next, we had hundreds of paycheck issues as a result of the data migration from our previous system. For a district that has 3500 employees, this was a terrible first impression. Lastly, Skyward wants to charge our district for every little change. For example, they are are charging a significant fee to change the default signature on our printed checks. I know that many districts in our area have successfully used Skyward for years. However, as a brand new user, I found the entire user interface to be cumbersome and very difficult to navigate. Especially in a world with Apple, Google, and the like, the Skyward system looks like it was created in MS-DOS and hasn't changed in the last 20 years. We have realized that Skyward is on the right track to improving our productivity. However, if the user interface does not improve then we will likely look for an alternative solution. They already have the "bones" in place for a great system but it's just not meeting our modern-day standards. The best part about Skyward Student Management's system is the ability to toggle between employee access and teacher access. Employee access gives me direct access to things like my paychecks, time off, etc. The main page of the teacher access is also customizable, which I appreciate. The main thing I dislike about Skyward is being logged out after a certain amount of time. I have saved my log in so that, once I eturn to the page I can click log in without issue but it would be nice if I could keep my attendance up all day. I have access to student health information, grades, attendance, and contact information. This eliminates the wait time between finding all of the information I need from different sources. It is all available within the same program. "Could be better, could certainly be worse"
It's fairy quick, reasonably easy to use. I don't really care for the layout, it's not especially intuitive or easy to find what you're looking for if you haven't had extensive training. I've been using it for quite a while now and there are still times when I can't find something I need easily. The mobile site is atrocious. It's basically unusable. I mentioned this before, but the layout isn't great even on the desktop sign. It's not intuitive and definitely isn't easily usable for someone who isn't especially computer savvy- which teachers sometimes aren't. I've done some training for our teachers and find that they're not able to easily adapt when coming from another software, but if it's their first student management software they tend to pick it up relatively easily. If mobile use is important to you keep looking. If not, this is a solid option. Keep in mind that you may want to provide extensive training on its use since it's...well, not the easiest software to pick up. I work for a school district. We track all student data using Skyward Student Management Suite. It does make it easier to have it all centralized on a responsive and easy to navigate site. "Excellent Customer Service and State Reporting"
Data quality has greatly improved using Skyward. "Not a Very User Friendly Tool"
Once you figure out how to enter in the information, this software speeds up the process of requesting time off and getting expense reimbursement. When you make a request in the system, an email is fired off to your supervisor and they can immediately approve or deny your request. It is much quicker than phone calls, emails, or paper submissions. The system is not user friendly. There are multiple tabs, pop up windows, and technical language that make it difficult to navigate around. Several more seasoned employees in my department who were not very tech savvy had extreme difficulties figuring out how to use it. It’s not a program that is conducive to having users figure it out on their own. Be prepared to offer a lot of training in order to help staff use this software. Once trained though, this software increases communication and efficiency. This software speeds up the process of requesting time off, being reimbursed for expenses, and increasing communication between employees and supervisors. Skyward is easy to use and to quickly become a master user is simple. Having the ability to see other family in schools. Being able to customize the profile is really nice and it is actually an appealing interface. Having to switch between different modes to see different information is somewhat annoying but it doesn't affect my opinion that much of the software. The text boxes are small and will not automatically expand when you are typing. Also there are often times when the information isn't concise and you can't see it all without expanding multiple bullet points. Maybe compiling and joining some information that is repetitive and simplifying the information instead of having to switch between different modes. Also adjusting the text boxes and incorporating a spell check would be helpful. Also making a better mobile app would better suit the teacher on the move. Maybe if we were able to incorporate a feature that would allow the teacher or principal to email the parents immediately when there is a referral in the profile for said student instead of waiting for the parent to login and see the information. I work in a school environment so there aren't many business problems that is is solving other than managing student profiles and allowing ease of access to teachers. "What about blended and online programs within a traditional district?" I find it pretty easy to use and navigate. I like most features that it currently offers. It would be awesome to offer districts a "satellite" Skyward SIS, dedicated to managing the unique challenges online programs and campuses currently face (full-time or supplemental). This could be something that other fully online schools could use, and districts who already use Skyward's current functionality for their general campuses could utilize this dedicated SIS for their own online school/campus/program, such as ours. Something that could be used independently of the larger SIS pushed out district wide, yet still reports along with the main SIS for state reporting. Something I mentioned to the people at SKyward more than 4 years ago, but have not heard anything since. Our teams have partnered to find unique ways to use some of the current features that the whole district doe not currently use. By bending the current features that were intended for other uses within a traditional district or campus, we have "forced" it to work for our online and blended instruction offerings. Sometimes it feels like the Frankenstein affect, however, our district own Skyward department has helped our district's online academy tremendously improve processes to safely house student information in the SIS, as it should be. It makes things doable, but something intentionally built within the program would be ideal and is overdue. We do not need Skyward to be an LMS, we need it to be updated to conform to the student choice provided by districts across the nation as we continue to personalize learning for students. "Good application for keeping track of grades and assignments"
I dislike that the student lunch accounts are not managed in this application and we could not, even when they were managed there, pay through the app. This product helps students, parents, and teachers keep current with the grades and assignments the student currently has in a way that was not available at one time. It also can be used for mass messaging and student information. "Reach for the Stars with Skyward"
I love the ease of use and management options. The reports are easy to use and generate and the student management is out of this world. I love that this program can make it so easy for parents, educators, food service, and technology to use. It was hard to get used to making the reports that I needed for the first couple of weeks, but tech support was out of this world and now it is no trouble at all! Probably the easiest software we have used in my 12 years of school food service! Love this product!! Problems solved include better parent management and ease of use, and the benefits to this include less student debt in our food service department, more transparency, and ease of use for all involved. "Hard to Get to Know"
I really like all of the information that teachers have access to on each of their students. It took me a while to understand how to use it well. It's not especially user friendly. I have really enjoyed the access to the academic history of each student. It helps in situation where a student isn't performing as well as I think they could be. I will go an check their progress from other classes and how their grades were before and it has helped me to find out if there is a situation going on at home, in their life that inhibits their best work. "Great features, hard to implement"
This program is great for schools to use for student information. There are a lot of options available and after about 1 year of use, I'm starting to feel more comfortable with navigating this system. This program was very difficult to implement in our campuses. We did not have adequate training, which may be why, but the program is not as "user-friendly" as the one we used previously. Also, needs more data that can be linked to your dashboard so that you can get quick access to data without having to run reports. This does allow those of us at Central Office to view all data for all schools. "Skyward-might be for you, depending on what you are looking for"
Skyward Student Management Suite is awesome for taking attendance, putting in grades, sending emails home to parents and students and for putting in IEP information for students. I dislike that when working on an IEP, it forces you to open the different pages in different tabs and it does not allow you to work on two tabs at once. There are various categories within each subject area. You also have the option to give assignments different weight values, which makes calculation a breeze. Ialso like the option to have charts instantly generated With ease. Ilike how each category is a different color, which makes it easy to quickly glance to see how balanced the grades are. I also like how parents/guardians are able to log in themselves to see their child's grades and missing work. It can be difficult to edit grades that have already been submitted. The user interface can be challenging. Accessing the academic history of each student and noticing trends has proved helpful to guide instruction. "Skyward: Student Management Suite at the Click of a button"
I feel like sometimes with reports that have to be printed, there is probably a quicker way to get to where we need to go and if there isn't than we should make it easier. It really is a simple and quick management program. I think there are a few things that could be simplified but for the most part it's easy to use. You have access to any student in your Skyward system which is helpful for schools for a multitude reasons. "Skyward Student Management Suite is a Great Product!!" We chose to convert to Skyward four years ago and our expectations have been exceeded! The easy and intuitive features have made it easy for user to learn and improve on their daily tasks. There is nothing that we as a School District dislike about Skyward!!! Let Skyward show you specific needs in action. Put them to the test and give them specific scenarios of needs. We have improved our communication with staff and parents of our students tremendously. "Built for schools and continues to grow "
Hard to say, I am not a big fan. But it could be that the things that would be most beneficial were not part of the package that our district negotiated. I don't like how clunky it is. It is very difficult to move between frames and it is not visually appealing (and does not use visually stimulating colors, etc. to make navigation easier. I would say that they need to comparision shop school support systems and involve those who will be using it daily. What IT thinks is a "great" fit might actually not work well for the teachers who use it daily (and don't have IT backgrounds). We are able to put things together but for education being able to put unit and lesson plans into usable forms with in skyward might help. Also, straight grade links to other LMSs would be great (like to Canvas). "User friendly, detailed and thorough "
So much information is available with just clicking on a one profile link, as numerous tabs are present. Also very easy to create new profiles and link families. "Always discovering new ways to utilize the Skyward Student Information System." It's not easy to test an update unless you have a separate server with a "training" database and sometimes there are unforeseen consequences when loading an update. We have had better reporting of students' attendance and coding of special programs. It is easy to see the data (grades) after inputted. It is also helpful that different types of grades are color coded so teachers can easily organize them. Interface at times can be hard to work with. When inputting lunch and breakfast, I have to press a tiny box at every single student's name. It would be easier if I could just select or un-select all. Look through all of the possibilities SKyward has to offer. Train and familiarize staff with all parts of Skyward. Organizing and recording data for students and teachers at a K-8 school. "I have had positive and negative experiences when using Skyward"
I like that the formatting stays the same for every student when working on an IEP. I like that you can see everything for a student and can navigate easily using the sidebar selections. I dislike that there are times when I hit save on an IEP and go back in to find that my information has been deleted. It has made organization, formatting, meetings, communication, etc so much easier. Everyone that works with a student has access to their contact info,gradeboon and IEP all in one place. It also makes referencing information simple when looking up students. When writing paperwork the process is a lot smoother and the formatting is the same on every document. "Not as flexible as it could be"
I like that I have access to student schedules, classroom locations, teacher names and extracurricular activities. I like that I can access contact info for home and work as well as emergency contacts. The SMS is a one stop shop for all student processes. You can access all information for every student in your district within one system. Whether it be grades, food service, nursing info, discipline, fees owed, or other student related information, parents, staff, admin can access this in one location. I have worked with the Skyward SMS for 7 years now and haven't found anything that I dislike about the software. Efficiency for office/administrative staff, reduction of paperwork, quicker access to information, are just a few of the challenges the district has faced in the past that Skyward helps to solve. "Does a lot but does it help"
Its relatively easy to use but.some of the features are extremely clunky and non intuitive. It lends itself to notnising.many of thenfestures because they a bit burdensome. Adding assignments and grades are pretty simple but the communication portion is outdated. They need to build in a way to send a txt when you want to communicate with parents and students. Add more communication options besides email. It helps track out students progress. "Skyward is great, IF and when you learn all the endless features"
I love the endless features skyward had. We are trying to make it as user friendly for everyone that uses it in our schools. I've realized that we can pull many useful reports. The system is rather easy to use and maintain. The user experience is clean and although there are a lot of pieces to the system, our staff can focus in on what they use the most. The Progress database is secure, fast and functional. However, we always have to take that into consideration when integrating with other systems. Also, the integration into Active Directory is minimal and we still enter staff in both places. We would rather tie to a single directory. Review costs for all modules at once, as each has its own annual renewal. Look into the hosted solution. If hosting internal, consider a VM environment. Skyward provides a secure and reliable student management system, discipline records and we manage our Food Service environment as well. Able to customize data extraction in a variety of ways. Exporting data for import into other systems works well. Aligns with state reporting requirements. Ability to store and track a wide variety of data. End users sometimes find it hard to set up report templates. The ability to store and track a lot of data means a lot of data input - can be time consuming. We are in our third year of using Skyward and I feel our data is becoming more accurate and we are able to pull more data out of the system. Fairly user friendly, lots of options for tracking and finding student information. Hard to learn "tricks" like different views of gradebook. There are also different levels of access, so depending on the level you have, you may not be able to see much information about a student, such as grades in other classes or discipline record. Depends on your school's needs. We are moving to standards based grading and Skyward did not manage requests for this format well. If you're sticking with traditional grading, then it works just fine. Our school uses Skyward to keep track of grades, discipline, attendance, and record keeping. It can do multiple functions for a district all in one place. It takes too many clicks to do something with multiple repetitive screens. It takes far too long to do something. The software is not intuitive and it is obvious someone outside of the school industry designed it. It is a one and done software that all aspects of the district can use. "Skyward Student Database SIS New User"
Easy of data mining to keep data clean. There are so many ways to use this software for multiple department, it is worth the efforts and training so everyone feels comfortable using it. Limitations are put on us by our tech dept. and we have to ask for necessary access as we find our areas of need. Ease of combining accounting, student data, and personnel data and use all in one program. Accuracy of student State Reporting. We have very clean and accurate data now since we can find miss matching information by exporting data into excel. "Best management for student information"
This software is the user friendly and the ability to have multiple users with a variety of levels of acess is great. Not being able to keep several windows open at the same time is the down fall. I do recommend you use this product it user friendly and secure to keep all information safe. Keeping all students information and in one place and easierly accessible to the right people. Skyward has a lot of fields to input a lot of different types of information. There is no shortage of data fields. I have 2 major dislikes - it is not user friendly, and it is very outdated. Each time I select a new field, it opens a new window. When checking grades, I could have 30 windows open - not necessary! I'm not sure I have realized any benefits. I have used Skyward on both the teacher side and administrator side, and I think both are clunky and hard to maneuver. Skyward makes it easy to organize grades by standards and include necessary comments. Many of us moving to standards-based grading could benefit from additional options when recording grades. I'm able to go back into Skyward to help parents see exactly which standards were areas of strength or weakness. Attendance is easy, especially on the app. Grading is very time consuming. Have special education classes, they end up in multiple groups and it takes a long time to click through each group. It’s easy to miss someone and corrections are even more difficult. I also use this as a parent, which is even more difficult to navigate the screens. Find a way to consolidate classes. I really like the system that this uses and how gradebook and the attendance are put together, which makes them easier to use. Saving the login makes accessing this quick and easy and I haven't had any technology errors from it yet! I really like how you can add commentary to the grades if they are missing or late, etc. This has really helped me stay organized. Sometimes navigating between the financial aspects of this site and some of the other features needed from the site (ie. accessing gradebook and daily attendance) can be tricky. This may just be how my district has chosen to link and set up skyward access to teachers. Inputting information does take some time to view all classes. I wish you could name your classes so I wouldn't have to keep clicking in between them. Be aware that there is sensitive information like health records and what students are at risk, etc. so if you have automatic login be careful with who may have access to that. Also, use the comments for assignments to help you stay organized and input everything on your student to have a complete and comprehensive record that easy to access. When inputting an assignment add to any and all relevant classes to save yourself some time later and make sure under details you put the assignment name. Grading, attendance, student information, etc. I've noticed this system is so easy to change and edit, eliminating the need for paper attendance or for keeping a manual gradebook. SO nice! I like the fact that teachers and parents can view the grades anytime. Sometimes after inputting data,they are not visible. It is very simple and user friendly too. I have used it since 2011. I put students' grades and print their progress reports. "A pretty great and easy to use program for teachers. " because of Skyward. It's also a lot faster to print off report cards. it. This would save so much time. Make sure that you consistently enter your student's grades throughout the grading period. parents to stay up on missing work from their child. Skyward is easy to use, manipulate, and has multiple useful functions. It is easy to semd messages to whole groups or select groups of students. The only complaint I have is the the semester exam grade will not transfer from Canvas inyo the "SE1" category. It works well for our school district. Skyward gives access to every teacher, admin, student, and parent. There is a gokd flow of information and Skyward eliminates the need for parents to call or email teachers about grades. Everything, great customer support, progressive software, flexibility. Software changes that districts request are slow to happen. Skyward offers many different modules. You can choose what modules to use and make the software work to suit the needs of your district. The ease of handling the state reporting and meeting the state reporting requirements. The ability to have all the schools on the same page . Learning about Skyward Student Management Suite? * We monitor all Skyward Student Management Suite reviews to prevent fraudulent reviews and keep review quality high. We do not post reviews by company employees or direct competitors. Validated reviews require the user to submit a screenshot of the product containing their user ID, in order to verify a user is an actual user of the product. Hi there! Are you looking to implement a solution like Skyward?